A person embarking upon an academic experience within the business discipline may question why they should get a bachelor’s degree in marketing. Since there are many business concentrations available to today’s students, they have the opportunity to match their interests and skills to an exciting business function with plenty of possibilities for growth. The dynamic field of marketing offers its practitioners rewarding careers that utilize both quantitative and interpersonal skills. Here are some specific reasons to pursue an undergraduate degree in marketing. 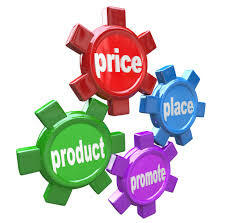 By definition, marketing involves the promotion and sale of products, services and even ideas. All of the activities that go into accomplishing such promotions and sales are the basis for many challenging careers. A business professional only needs to recognize his or her strengths and match them to a marketing function for a career of a lifetime. For example, business professionals with a creative flair and knowledge of markets often work as advertising and promotional managers. These marketing professionals that are sometimes known simply as marketing managers create marketing plans, conduct advertising campaigns as well as generate and implement pricing strategies. When marketing managers require a greater degree of information about the market conditions relating to the product, service or idea they want to sell, they call upon market researchers. Market research is another type of career path that focuses on efficient data collection, effective analysis and user friendly reporting. The career field of marketing is anything but dull. Strong fundamentals and marketing concepts remain useful even while the career field gets rocked by changes brought about by advancements in information technology. For instance, advertising managers traditionally have a mix of media like radio, television and newspaper that they use to sell their products. Today, print advertisements have largely given way to digital media advertising. Since most people conduct their product, service or idea research online, market researchers are able to pinpoint from collected data where to launch a product or service that will be most favorable to their target market. Marketing is one of those career fields that has become critical to multinational corporations or those companies seeking to expand into overseas markets. Market data analysts and researchers are in great demand by these companies who use the results of their analysis to make decisions about where to launch new or existing products in a foreign market. Many of these marketing professionals have experience using big data analytics tools and techniques to produce useful information for senior level decision makers about the current overseas market environment and detected trends. The activities that make up the field of marketing directly impact a company’s sales of product, service or ideas. Since the work of marketing professionals directly affect company profits, it makes sense that their pay and compensation packages are attractive. According to the Bureau of Labor Statistics, the average annual pay for advertising managers in 2012 was over $88,000. This government agency also cites the average annual pay of market research professionals to be over $60,000 with the top 10% of them earning over $113,000 yearly in 2012. A bachelor’s degree in marketing can prepare a business professional for many jobs that utilize various skills. Even though the field of marketing experiences some changes because of continued advancements in technology, the fundamental principles that guide marketing activities remain the same making a bachelor’s degree in marketing a worthy investment.